You are currently browsing the tag archive for the ‘1988’ tag. In 2019, 31 years after World War III, which destroyed the old town completely, Neo-Tokyo is even bigger and more urbanized than the old one. And more violent, too. The city is constantly on the brink of anarchy. We follow Kaneda and Tetsuo, two members of a rough motorbike gang. When Tetsuo is hospitalized and taken away from his friend, Kaneda tries to retrieve him, while getting involved with a girl, who’s a revolutionary and whose troupe is after Tetsuo, too. Tetsuo, meanwhile, discovers he’s getting immense powers. Tetsuo suffers from an inferiority complex, and he realizes it’s payback time. 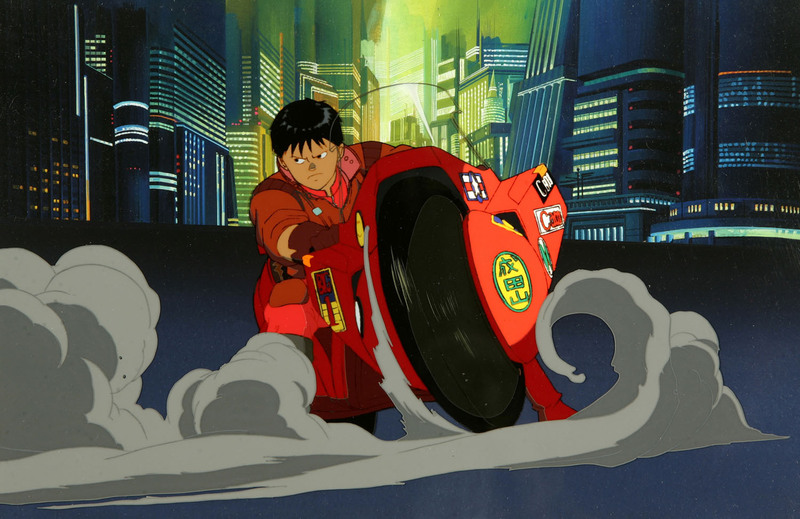 He sets out to seek the mystical Akira, destroying most of Neo-Tokyo along the way. But in the end his powers take control of him, and while he and Akira merge to form a new universe in a very 2001 A Space Odyssey-like ending, Kaneda and his girlfriend Kei can look to a new future in a partly destroyed Neo-Tokyo. If this plot line may sound a little hard to follow – it is, and I left quite some subplots out of it, too. ‘Akira’ is a violent and action-loaded science fiction film. Its plot may be vague and all too complex, the violent images never cease to impress. 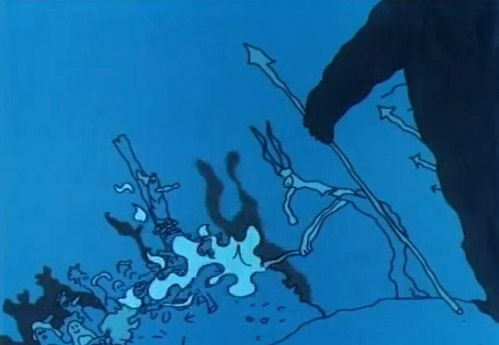 The film’s depiction of apocalyptic destruction, its speed, its wide range of characters, and its use of extreme camera angles are unprecedented in any animation film, and sometimes the grandness of the film’s scale is staggering. 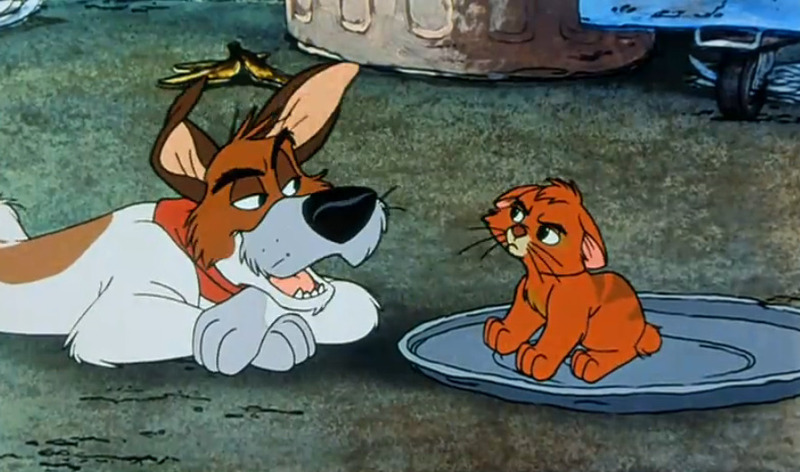 Some of the scenes are very complicated, with many people animated within one frame. And the story, too, seems to aim to encompass everything within the feature’s 124 minutes. Not surprising, considering that the film is based on a manga story six fat volumes thick. Although Anime had known earlier masterpieces, it’s ‘Akira’, which set new standards in its home country. 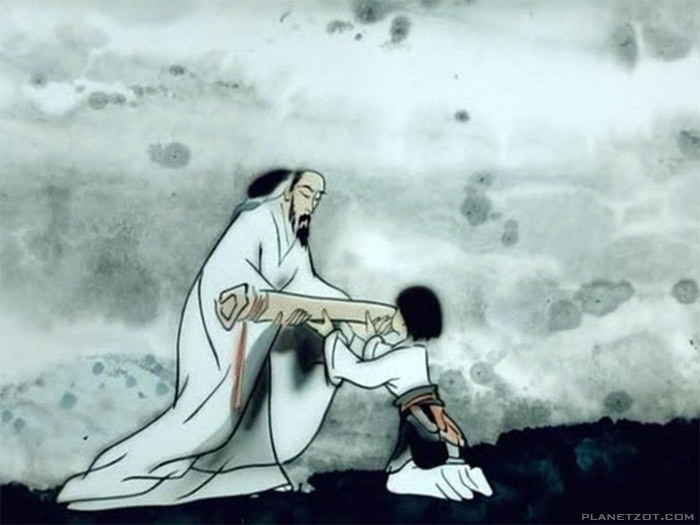 Moreover, it’s this film, which put the Japanese animation feature film industry firmly on the map in Western countries, which thus far practically had known the country’s television series, only. 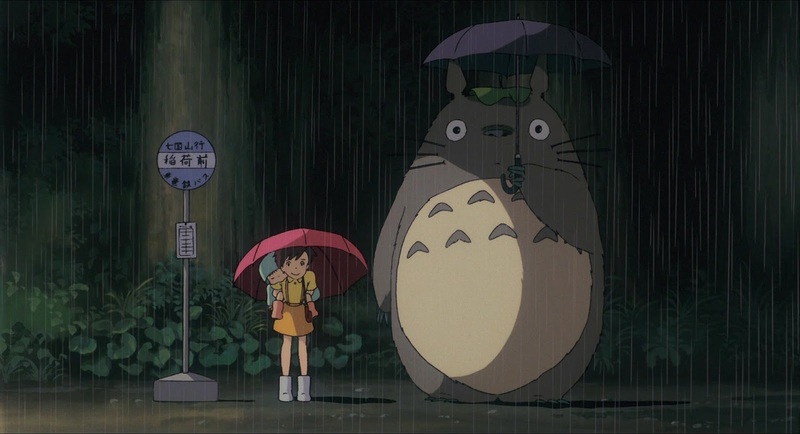 Thus, for most Westerners Japanese animation was synonymous to cheap animation, and the use of ridiculously large eyes. However, ‘Akira’ showed the Western world that Japan was perfectly capable of producing films of a high quality and stunning originality. 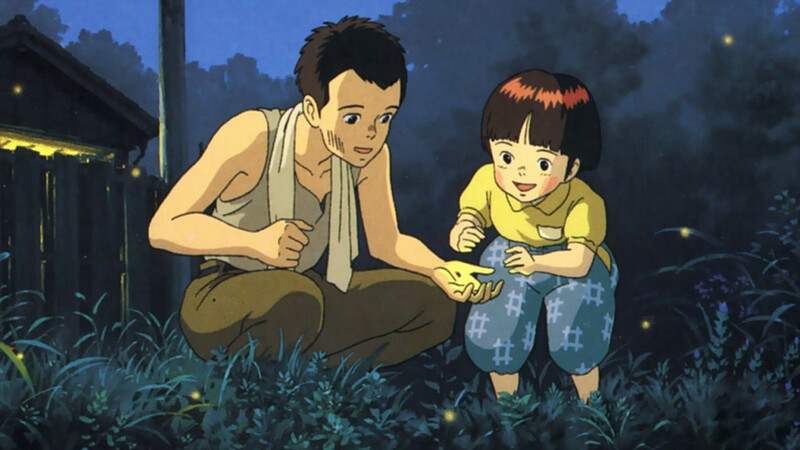 Japanese animation has only grown in popularity since Akira’s release, and has become a major inspiration for many Western films and television series, animated or not. ‘La Prisonnière’ is a short, rather surrealistic science fiction film about two children. They visit an extraterrestrial monastery and witness a rescue of a prisoner by naked women who step out of a stranded whale. 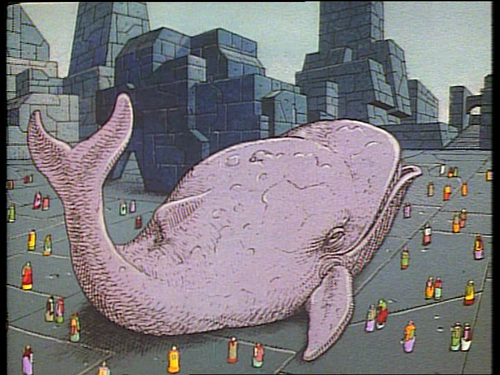 The film looks like an animated version of designer Caza’s source comic, Équinoxe (which can be found here), and contains only a limited amount of animation. In his designs Caza’s style is very reminiscent of that of his fellow french comic artist Moebius. 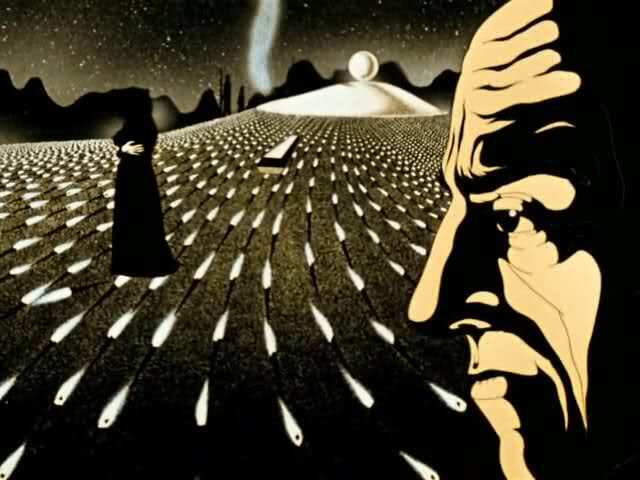 ‘La prisonnière’ seems like an etude for Laloux’s and Caza’s much bigger project, the feature film ‘Gandahar‘ (1988). The atmosphere of the short is poetic, if completely incomprehensible.